Planning on going to the track? 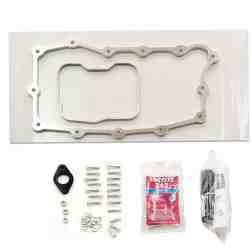 2 QT Deep Sump Oil Pan Kit inc. pickup tube extension for MY97-08 M96/M97 engines in Boxster, Cayman, and 911 models except GT2, GT3, or Turbo. 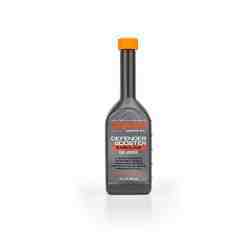 Helps prevent oil starvation related engine failures and reduces oil temperatures. 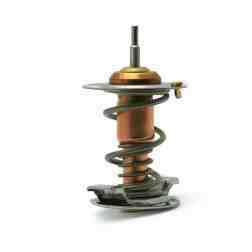 Required when replacing factory N-Spec Porsche tires with more aggressive compounds. Don't go to the track without it. The Bilt Racing 2 QT Deep Sump Kit provides similar oil pressure drop protection as an Accusump kit, but takes oil control to a whole new level. We've had Pro Racing teams use our kit to solve their oil starvation and aeration problems completely, when paired with true race oils, like Driven XP9. Our 2 Quart Deep Sump Kit is the only one that includes a custom X51-style baffle, with hinged oil control flaps to keep oil from moving away from the centrally located pickup. We also include an anti-slosh / windage tray that prevents the additional 2 quarts of engine oil from sloshing out of the sump under high g-forces. Lastly, we include 997 oil return tubes to ensure that oil being pumped back to the sump returns as quickly as possible to the lowered engine oil pickup. 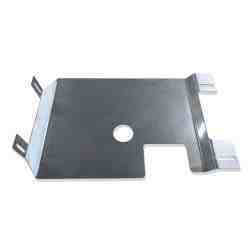 To simplify installation, we also include a re-useable gasket between the windage tray and the sump spacer. 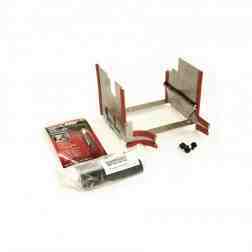 Kit includes all required hardware and sealants. 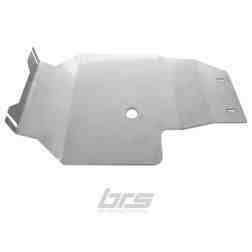 For added protection when used on the street, the Bilt Racing stainless sump guard can be installed. The order of operations for installation of the 2 QT deep sump (after installing the pickup tube and extension) requires the steel baffle plate to be installed first (using the provided Loctite 5900), then the provided gasket (using no sealant), then the 1" pan spacer, then the oil pan itself (using the Loctite 5900).